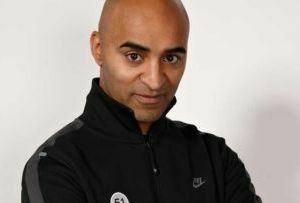 Jon Denoris, the founder of fitness studio Club 51 (and Boris Johnson's personal trainer), has these tips for keeping your staff fit, healthy and productive. If you're going to rock the boat by introducing a wellness regime, you need support from the top brass. For a work/life balance to exist, management has to accept that staff will take a full lunch break, for example. Instead of having coffee breaks of cigarette breaks, why not call them ‘recovery breaks’. This will help move your mindset towards looking at the break as time to regenerate and restore - and allow non-smokers and caffeine haters to take part! Look into signing your company up for a bicycle club, or a corporate membership to Boris Bikes. This will help employees exercise whilst commuting. They’ll also always have a phone signal! It may be beyond the budget to put a full gym or wellness centre into your office. Why not convert an existing space into a shower room? This will entice employees to run or cycle to work and still be as fresh as a daisy. It’s an obvious one but not one that office workers adhere to. For example, a quick ten-minute power walk mid-afternoon will do wonders for stress, energy levels and productivity. Why not go for a stroll around the block at lunch, or start a running club after work? Partner-based exercises bring people together as a team and ensure that they are much more productive. It’s pretty basic management theory but an often forgotten one. Your diet is fundamental to your productivity. As well as raising your exercise and fitness levels, you must pay attention to what you eat. I recommend four to five smaller meals per day to keep energy levels high and to balance blood sugar dips. Ensure that meals contain a combination of protein and carbohydrates, such as peanut butter on wholegrain toast, orange segments and cottage cheese or nuts and a piece of fruit. Don’t put off stress management and leave it until the weekend. Storing stress up to be dealt with at a later date just does not work. To be effective, any form of stress management needs to happen as close to the stressful event as possible. As with athletic performance, research has shown the importance of restoration - massage, relaxation and meditation - in improving work-life balance. Crucially for employers, there is a subsequent, positive knock-on effect on performance at work. These include: increased energy levels, clarity of thought and enhanced concentrating skills. People who tend to be negative and handle their own stress poorly can often transmit their `bad vibes` to others. Avoid people who manage their own stress by paying out on others!